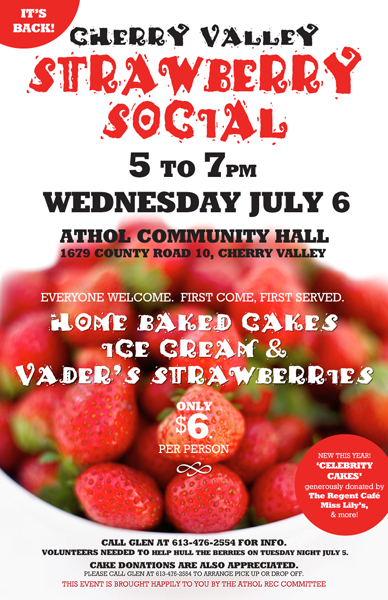 Strawberry Social in Cherry Valley IS BACK! July 6th 2011. Strawberry Social poster design by Kato Wake. All proceeds go to supporting programming at the rec. centre and within the Athol community.